In the eyes of many and despite the growing emergence of the firearm as the dominating weapon in the battlefield, the sword was at its golden age. The society of the Renaissance became much different than the Medieval one and among the many changes it brought was the widespread availability of the sword. No longer exclusive to the nobility, the sword could now be carried by anybody, provided one could afford one and know how to wield it. More than a dress sword as it was designed at first, it was also a self defence weapon. In a world where your life depended a lot on your fencing skills and ability, especially so in a time where danger was found anywhere from the streets of Sevilla to the gloomy fields of Bohemia (modern day Czech Republic), the sword was the weapon of choice. With a high demand for quality pieces the sword making business a very lucrative one which benefited craftsmen and the cities where they made their reputation. Sword makers such as Tomas de Ayala, Ortuno Aguirre, Andrea Ferrarra, Peter Munich or Johannes Wundes bacame big names much like today's fashion designers and cities where these men made their reputation became increasingly more important, for example Toledo, Sahagun or Solingen. The XVIth and XVIIth centuries made available to the market civilian weapons who were made elaborate, almost custom made, by specialized and talented craftsmen who provided to the customer a work of art not limited to being a pretty jewel but also that was, very importantly, useable for duels and close combat. These were older models from the past century but still useable for urban duels, individual fights and last resort self defense. Since these were still heavily produced by many makers in Europe & in a multitude of variations it is logical they were found in quantities in both sides of the war. The blades not being wide enough for cavalry (except when replaced), the swept-hilts were still highly appreciated as elegant yet efficient weapons and were as such commonly used by officers and infantrymen. The cup-hilt or taza rapier was the ideal weapon for duels and other individual fights of the civilian life, given its massive bowl offering excellent protection to the hand. 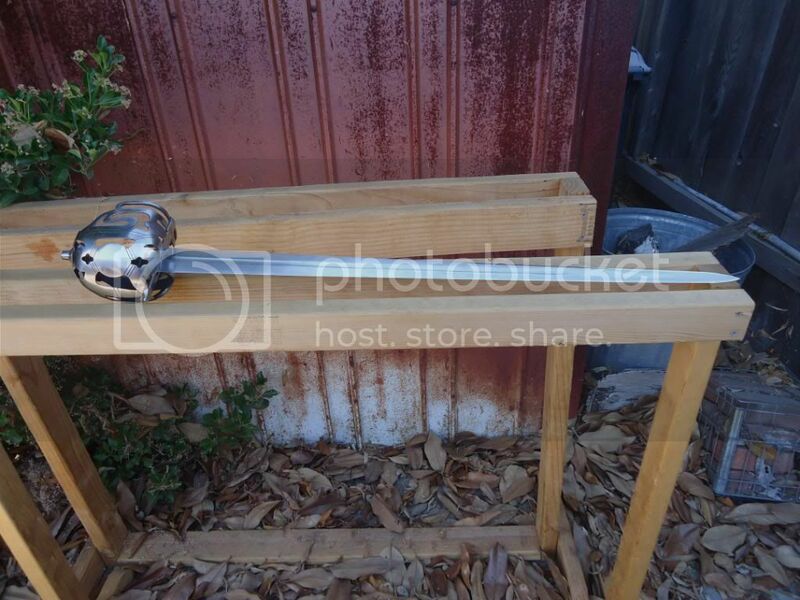 The bowl's weight counterbalanced in order to make it an easy to wield sword. Even though it was very efficient against unarmored opponents, its light and dull blade was not suitable for military use: it was unsuitable on horseback and very rare within the infantry since not everybody had the necessary skills or training to wield this subtle weapon. Traditionally it was the weapon of professional swordsmen: hired killers and adventurers who were experienced fencers. Always used along was a trusty dagger on the other hand for blocking, immobilizing or breaking the enemy's blade. Wartime effort needed workshops, owned either by the state or by private individuals, who made swords needed to be produced in huge quantities to equip large contingents of soldiers quickly. Count Wallenstein, the most talented Imperial commander, was also a very wealthy man and owned several weapons workshops that produced swords for the troops he raised. This not only favored the standardized look of his men but also spread the circulation and use of some weapons such as the Pappenheim models. These munitions grade swords were made similar and were not ornate and sophisticated pieces but were expected to be heavy yet tough and durable for military service. Allegedly from the town of Bilbao in Spain, the Bilbo sword was the simpler, military version of the cup hilt rapier but with a shorter, broader blade now sharpened on both sides making it much more suitable for cuts and thrusts. The cup guard is changed to simplified protective shells on each side of the ricasso that offered a considerable protection to the fingers. Much like the cup hilts, the inner guard had side rings for the fingers allowing for sophisticated fencing (pas d'âne). Originally from Germany to the Netherlands, it then took the term Walloon much later on, having little to do with the province of Wallonia. Its modest but practical shape meant to be produced in numbers to equip large contingents of soldiers made it very popular among the Protestant powers of Sweden, Netherlands, Northern German states and by France when Louis XIV's army captured the arsenals of the Netherlands later on in the century. Unlike the Bilbo and cup-hilt rapiers, it didn't have space in the ricasso to allow finger play so not designed for complicated/ sophisticated fencing. But it did have a side ring for better control, making it a simple and efficient sword for battlefield use. The plate guard made for a decent protective system for the hand with 2 perforated ears on the sides, forming the shape of a heart. Some later variants were added one or two branch on the side. The pommel was made big enough for counterweight and better balance, allowing it to be equipped with a respectable blade. A specific sword carried by the Swedes upon their arrival on the continent; it had a very similar form to the Protestant walloons but with an added front branch & curved quillons that did not connect to a wheel shaped pommel. These were rare due to the fact that the Swedes could hardly reequip themselves with native swords when in the continent. Designed as a cavalry sword, its name derives from the general Graf von Peppenheim who commanded the cavalry of the Imperial forces and heavily encouraged his troops to be equipped with this model. Even Gustavus Adolphus, the king of Sweden, was fond of this type & carried one when he was killed at the battle of Lutzen in 1632. Very similar to the Bilbo sword but with an elegant shape reminiscent of the complex hilted swords, yet simplified by a clam-shell guard with sweepings, a curved knuckle bow, curved or straight quillons and heavy pommel for better balance. The blade was sharp but with an acute point that made it ideal for military and civilian use. It was the most practical weapon of the war & was used by all the powers, testifying of its deadly efficiency. These swords were mainly limited in use to the English civil war armies but since many Scottish and British mercenaries were recruited by the Protestant armies it wasn't unusual to see some of these swords on the Europeans battlefields. The mortuary & basket hilt swords were mainly designed for cavalry use, with the emphasis on slashing rather than thrusting. As a result the original blade were supposed to be wider, heavier but shorter than rapiers. 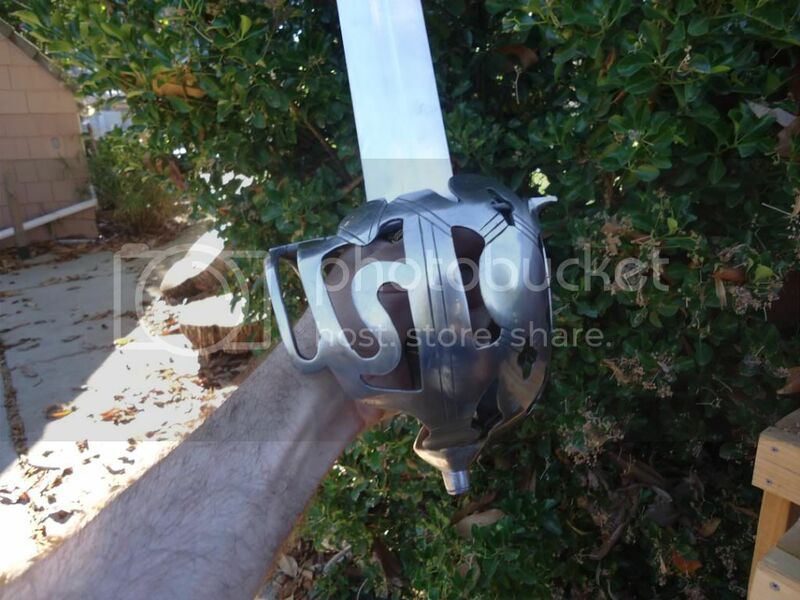 The basket hilt is a novelty and the branches protect the whole hand rather than half or part of it. Most basket-hilts had steel guards often pierced with decorative shapes, the blades are usually imported German types and the wooden grip is often to be found covered in shark skin on swords of quality. These broadswords continued to develop in Scotland to become today the dress sword of the Scottish military regiments we are very familiar with. Some of the most fearsome cavalrymen of the war were the light elements: the Croats of the Imperial armies and the Finns under the Swedes who made themselves a dreadful reputation when in pursuit of fleeing foes or harassing them, hacking without pity or remorse. The former were close neighbors of the Hungarians (who were also mercenaries but in smaller numbers) while the latter gained experience whehnthey faced the Polish cavalry in the early 1620's, and as a result both carried the typical sabre with curved blades and straight crossguards/ knuckle bows from Eastern Europe. Nice post! I guess I like this time period the most, since most of my swords fit the late 16th century to the mid to late 17th century. The three basket hit pictures are actually English baskets. Around this time frame the Scottish baskets were call Ribbon Hilted Baskets, which were flatten bars. It's almost best to use the term British basket hilts then to say, this is English or Scottish, because both hilts were used around the British Isles. Here is a picture of a of a Scottish Beaknose Ribbon Hilted Basket. I disagree on a couple of your statements. Walloon swords did not originate in Wallonia, Belgium. They were first made in the 1640's in Solingen for the Dutch market, especially Amsterdam. The name was attached to the sword later. Nobody knows for sure why they were called Walloon swords. one idea is that the name was coined by 19th century collectors. Another is that the French captured a pile of these swords during a campaign in Wallonia in 1672-1673, decided to call it an epee' wallone', and then started supplying them to their own soldiers with orders from Solingen. It is a fine design, simple, but very effective. 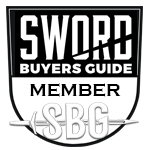 Great post, late renaissance/Baroque period swords are by far my favorite. Edited thanks to the new info you guys provided me. Interested to see the Bilbao Sword in this article as I was recently trying to identify my rapier like sword. Did a bit of research and asked questions on other forums and eventually decided it was an example of a Spanish Cavalry sword (Bilbao type) from 1728 - 1790. I thought this might be an officers example given the narrow blade and sheet silver covered handle. I attach stats and pictures for comment. Profile taper: 1.26'' (32mm) at ricasso, 0.97'' (24.7mm)at mid blade, 0.64'' (16.4mm) 2 inches from tip. Distal taper 0.32'' (8.2mm) at ricasso, 0.15'' (3.8mm)at mid blade,. 0.09'' (2.4mm) 2 inches from tip. What an excellent post. Very informative, very well illustrated . . . very near to my heart.